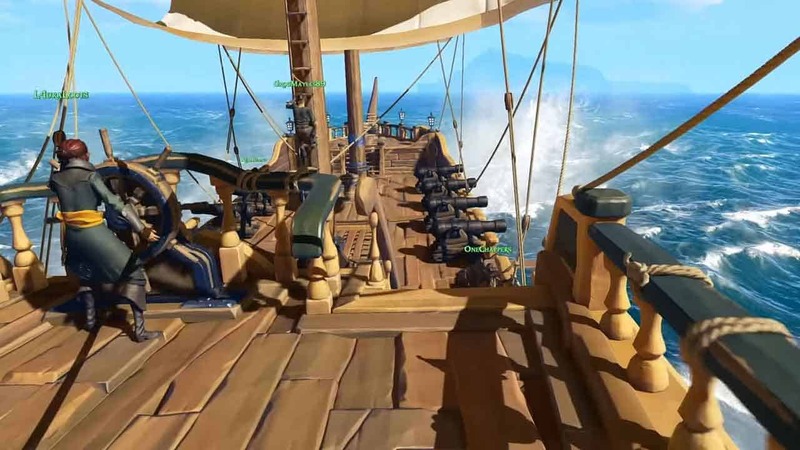 During Microsoft’s Press Conference at this years E3 event Rare offered fans the opportunity to explore the high seas in an exciting trailer revealing the multiplayer components of the swashbuckling cooperative MMO adventure, Sea of Thieves. The team took a slightly different approach than the other trailers at E3, choosing to showcase the community-based experience using members of the actual community, as opposed to seasoned developers. This saw some popular YouTube and Twitch streamers share their reactions and experiences in front of the audience, allowing fans to see the different elements of managing ship exploration and combat. Check out the official website for more information or view the trailer below for the first gameplay look at Sea of Thieves. Sea of Thieves will launch sometime in 2016 on both Xbox One and Windows 10.